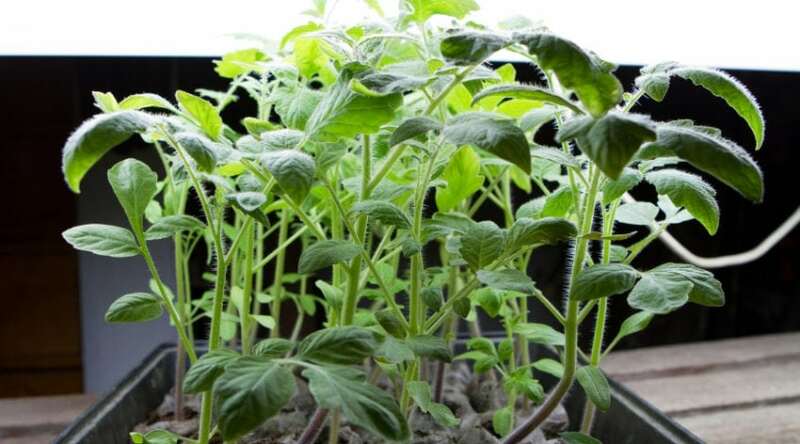 Are you looking to start some indoor gardening? 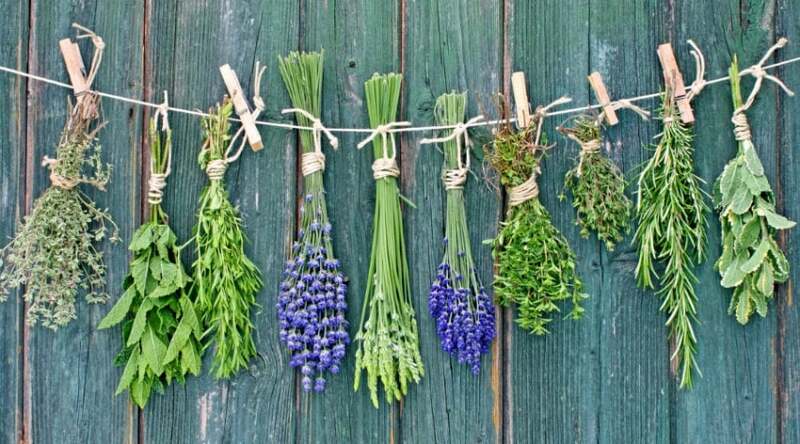 Perhaps a few windowsill herbs or a couple of nice potted plants to spruce up your home? Then you’re probably wondering, can garden soil be used in pots? 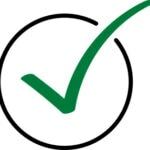 The answer has a few determining factors which all need to be considered when looking to start some indoor potted plants. So, to fully understand whether or not you can do this, or what type of soil to be using, let’s take a look and break it down, shall we? 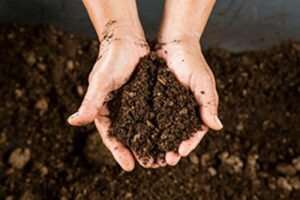 WHAT ARE THE QUALITIES OF A GREAT SOIL? CAN THEY BE USE INTERCHANGEABLY? 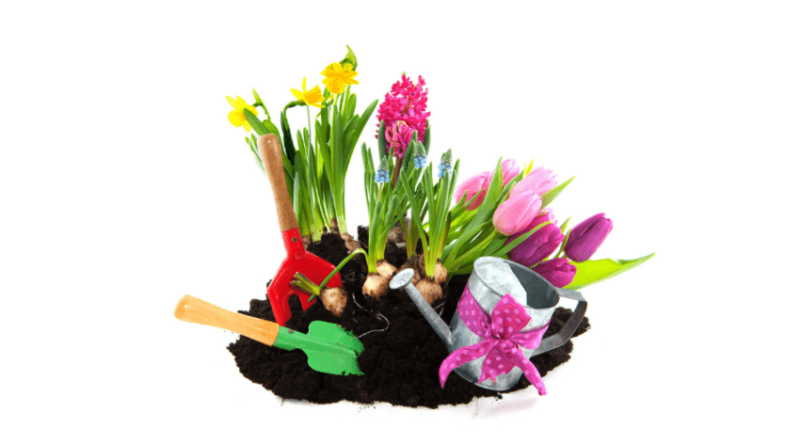 So, there are two main types of soil you can use when gardening; potting and garden soil. Knowing the difference between the two is crucial to how your plants thrive. 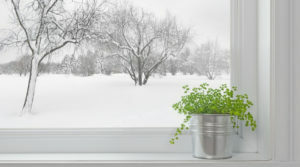 So, when starting and tending to indoor plants such as herbs, flowers, ferns, or any other type of potted plant, you have to remember that it’s being confined. The dirt and the roots of the plant are held within a container, as opposed to the unrestricted freedom of being planted outside. 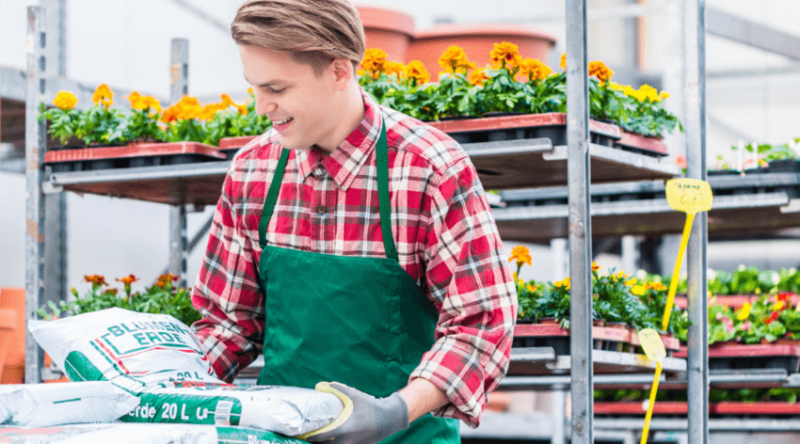 *You might also like: Do I need to replace potting soil every year? 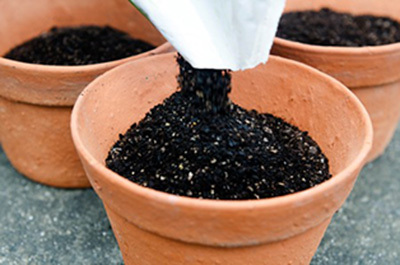 This means that the dirt must be properly drained and aerated in order for your plants to live. If not, they’ll surely die and all of your hard work will be wasted. Dirt for containers is actually not really dirt at all. 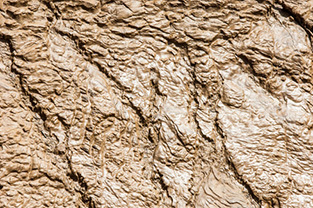 It’s man-made and comprised of a few main ingredients; peat moss, vermiculite, tree bark, coir fibers. The health and longevity of your outdoor garden rely solely on the quality of your garden soil. Seriously! It all comes down to the dirt. While indoor plants rely on the man-made recipe of potting soil, your outdoor garden needs to be comprised of more natural ingredients like organic waste (manure). The most important aspect of a great garden soil is drainage and aeration, just like potting but in a different way. 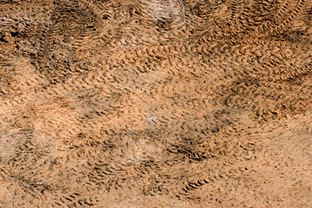 Water draining and good airflow are achieved by adding things like sand or clay. There are four main types of garden dirt to use, and each has their qualities. By adding sand to the garden material you create a gritty particle that helps the ground properly drain water and prevent flooding the plants. Clay is often used as an added ingredient to gardens because it not only helps with draining but also contains nutrients. However, too much clay can block water and result in flooding and drowning. 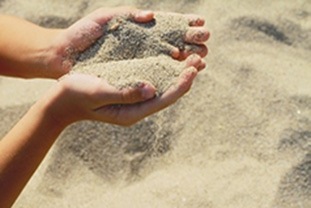 Similar to the idea of adding sand, silt creates gritty particles without clumping up like clay when wet. 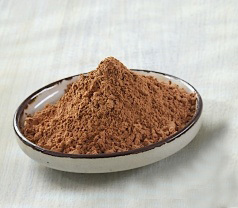 Loam is probably the most popular of all added materials. Is the best of all worlds and offers organic activity the chance to thrive, gives great airflow and water draining as well as retention. It’s perfect for growing multiple plants and flowers. To put it simply, no. If you’re asking yourself, “can garden soil be used as potting soil?”, just remember that. Potted plants don’t get the chance to thrive in a free environment like outdoor ones, so they require the special, man-made material with the added ingredients like peat and coconut hairs to help with drainage and aeration. This is what you need to look for when thinking of planting veggies indoors, or even herbs or flowers. Because of this, outdoor soil cannot be used for potted plants. Not successfully, anyway. Your plants won’t last very long and you’ll soon begin to see them suffocating and withering. But can potting soil be used for vegetable gardens? 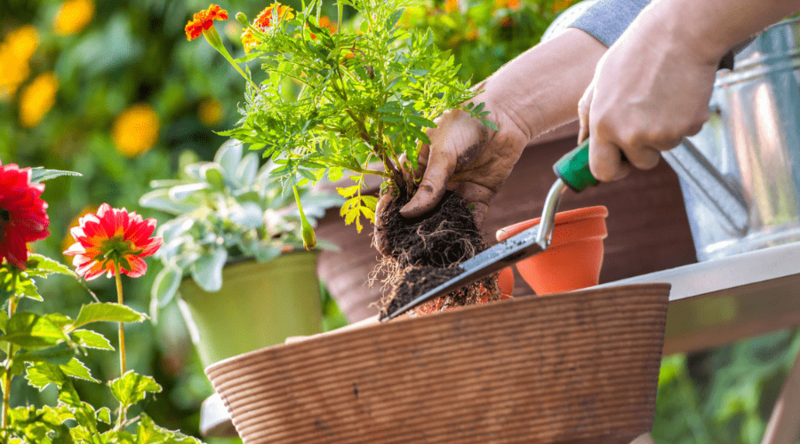 Yes, you could use potting soil for outdoor gardening, technically. It’s not recommended but if you add in the organic matter that outdoor plants require, then you might have a chance. So, to sum up, if you’re wondering why can’t garden soil be used in pots, just remember that it’s all in how it’s made. For outdoor gardening, you need rich, organic dirt. Inside plants need to worry about draining water and aerating more so than anything else. Personally, I love the Buffalo garden material for outdoor use. 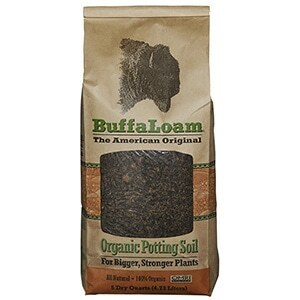 It’s so rich in nutrients and helps my plants grow fast and strong. 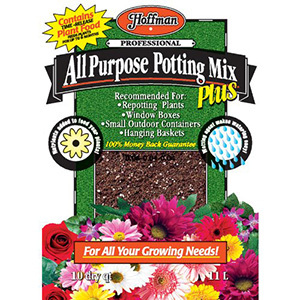 For indoor potted planting, I’d recommend the Hoffman All-Purpose because it works just about anywhere in any condition. If you have any questions, concerns, or products to recommend of your own feel free to share and comment! We love hearing from readers.